my wardrobe staples: Happy Birthday Groopdealz! Who loves Groopdealz? Everyone, duh that's a no brainer. If you've been living under a rock and haven't heard of Groopdealz for some reason, it's an online shop with lots of daily deals. 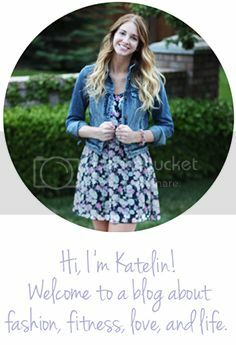 I have purchased so many cute, designer inspired jewelry pieces from their site for a fraction of the cost! Well this week it's Groopdealz 3rd birthday! To celebrate there are tons of great deals on their site (I've been eyeing these gorgeous statement necklaces here and here) and they are having a huge giveaway! Oh and the prizes are seriously amazing! 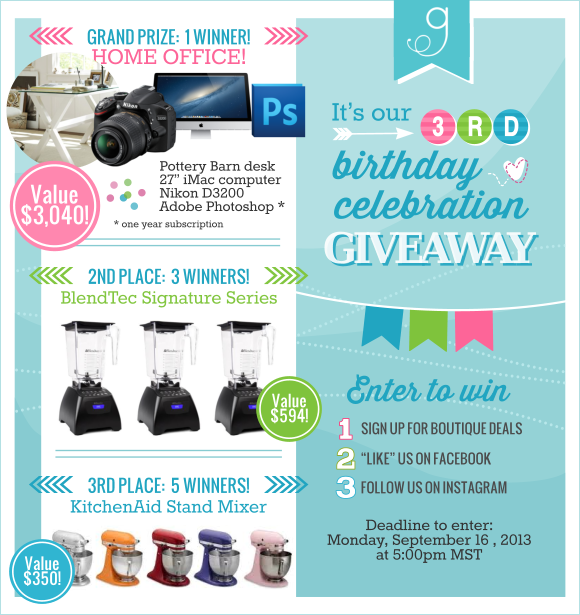 5 third place winners will win a Kitchen Aid, 3 second place winners will win a Blendtec, and 1 lucky first place winner will win a home office complete with an iMac, Potterybarn desk, Nikon DSLR camera, and a one year subscription to Photoshop. Now are those not the best prizes ever??! I would love to add that Kitchen Aid to my kitchen and I could definitely use that DSLR for my blog! You can go to the Groopdealz site and enter here.